Get that oven ready for this amazing Texas roadhouse rolls recipe! Soft on the inside with a buttered top, nothing will compare to this bad boy. There are no words to describe a Texas roadhouse roll. I mean, eating them gives you everything you need to know. I’m very tired today. We didn’t get much sleep here last night. Mr. 365 and I went to bed around midnight, he was reading and I was blogging (and ok, was on Pinterest – SO addicting!). But I have a question for you. Why the heck is it that the smoke alarm batteries die only at night when you’re sleeping? Does somebody program either the smoke alarms or the batteries on purpose? Seriously. SAVE THIS TEXAS ROADHOUSE ROLLS RECIPE TO YOUR FAVORITE PINTEREST BOARD! Grumble, grumble, grumble with a not so nice word inserted here and there. The ladder (and it’s a full-size one because we don’t own a small step ladder) was banging together and into the walls. Lights were being turned on and off, and our poor children were awakened by their father causing a ruckus in their rooms at 3 am with all of his battery changing paraphernalia. Poor guy, he also had to drive to the store around 2:45 to buy some more 9 volts. Batteries replaced, and the doggone things are STILL going off. Finally, he pulled the main one off the ceiling. I think a can of compressed air is in order to spray those puppies clean and if that doesn’t work, they’ll be replaced ASAP. It wasn’t a good night. If you’ve never been to a Texas Roadhouse, you need to go. Well, actually now that you know how to make these roll, you really don’t. I think these rolls are the best things on their menu. Come to think of it, and coupled with the fact that we haven’t been there in quite some time, I don’t even think these are on the menu. If I remember correctly, they’re complimentary. And the best part of this whole thing is that they are to die for when spread with that cinnamon honey butter. Oh. My. Goodness! MAN, I sure do hope these taste like the ones in the restaurant or I’m going to be bumming out (does anyone even say that anymore or am I dating myself once again?) BIG time! I found this at Eat Cake For Dinner. These easy to make Copycat Texas Roadhouse Rolls are just like the restaurant's and are melt-in-your-mouth delicious. Remember to the Cinnamon Honey Butter! In an electric mixer bowl, dissolve yeast in the warm water with the teaspoon of sugar. With the dough hook attached, mix in the milk, remaining 1/2 cup of sugar, and enough flour to make a medium batter. Mix thoroughly. Allow standing until light and foamy. About 8-10 minutes. Add melted butter, eggs, and salt. Beat well. Add enough flour to form a soft dough. 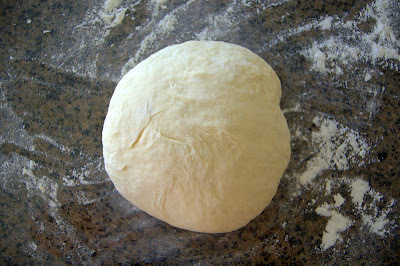 Turn dough out onto a lightly floured surface, and allow it to rest for about 10 minutes. While the dough is resting, prepare a large bowl by spraying it with cooking spray. Knead dough until it is smooth and satiny. Place into a prepared bowl and turn over, coating with oil. Cover bowl tightly with plastic wrap and set to rise in a warm area until it doubles in size. About 1-1 1/2 hours. Punch dough down. On a lightly floured surface, and with a lightly floured rolling pin, flatten dough into a rectangle until it is a 1/2-inch thick. Fold the rectangle in half the short way so that it is about 1-inch thick, and lightly roll together to seal the sides together. Allow resting for 10 minutes. 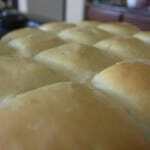 With a dough scraper, cut into rolls and place them on a greased baking sheet. Cover with a damp towel and allow to rise in a warm area for about an hour more. Preheat oven to 350 degrees and bake rolls for 10-15 minutes, or until lightly browned. In the electric mixer fitted with the whisk attachment, beat the butter for about 30 seconds until lightly whipped. Add sugar, honey, and cinnamon and beat until smooth and combine, scraping down the sides of the bowl. Continue beating on medium-high speed until light and fluffy, about 2-3 minutes. Wow. thanks a lot. But I did! And I have to admit that even I was surprised at how well they turned out!! Yeah, they were NOTHIN’ like that French Bread I made the other day (fortunately, and which post I still have yet to finish!)! These were just absolutely the most bestest, stupendous, delicious, incredulous, dynamitous, I-can’t-think-of another-word-that-ends-in-ous-to-describeous how incredibly awesome these babies were!! AND they were SO SOFT and AIRY!!! Ah,… it was like a cloud of sweet, yeasty goodness! Attention!! BE ON THE ALERT!! This is one of those recipes on the 365 blog that I STRONGLY recommend that you make!! I’m not trying to force you into anything here, but I really don’t think you’ll be sorry. These should be served at EVERY special occasion!! Even when there isn’t a special occasion you just NEED, yes you NEED to have these in your life. They. Are. Almost. Better. Than. Chocolate. Almost. And don’t you DARE serve them without that cinnamon honey butter. Because if you do, you are only hurting yourself and the ones you love. It is such a disservice to give those to anyone plain. Don’t. Even. Think. About. It! Oh, and if you don’t want 19 really HUGE muffins, you can just divide the dough into smaller rectangles, let the dough rest and then divide it into smaller rolls totaling 5-6 dozen. It’ll be fine. Enjoy your rolls! You need to come back and tell me what you think. I want to hear about them! I am going to bed doing a very happy dance~Sweet dreams Y’all!! 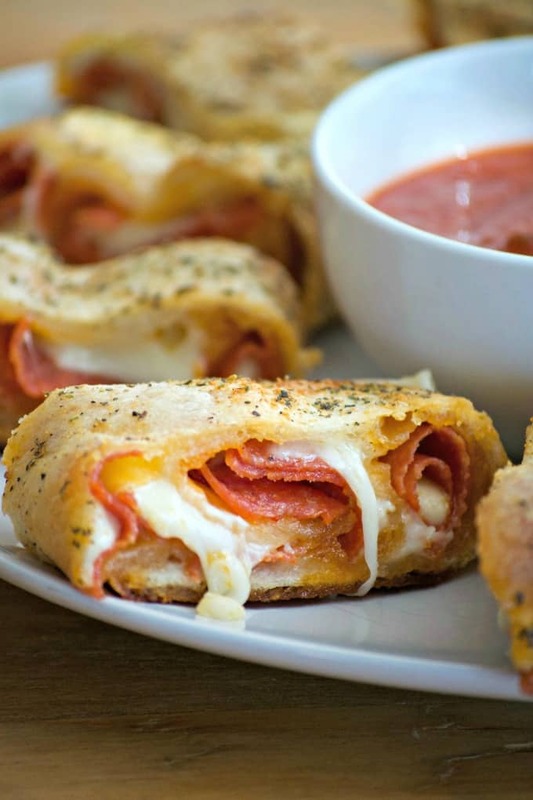 This Pepperoni Bread is an easy and delicious dinner favorite. It’s what I always take to parties and is the first thing to disappear! It’s great for Game Days, too! Oh that looks so yummy!!!!!!! Recently our upstairs neighbor’s smoke alarm battery was dying all night and she wasn’t home to change it… We could hear the beeping through our walls all night until she finally came home at 4am and stopped it! The rolls look delicious! Perfect comfort food for a tired day! Dana, I think that’s much worse, hearing the smoke alarm, but not being able to at least TRY to do something about it. UGH! NOT fun, Heather!! 9 times out of 10 they always go off at night, too! Are you sure we weren’t separated at birth, I swear, everything you post is something I would make/want to make now! Pinned and added to my list! Have a great weekend! OK,OK,OK! I WILL MAKE THESE! 🙂 What a rousing call to go bake! P.S. Thank you very much for the cute dog and kitty pic.It made my morning. On the Today Show recently they had a segment about smoke detectors/alarms. They said that after 5 years the alarms are programmed to beep and need to be changed. I’ve never had one that beeped regardless of changing the battery, but maybe this is something new. By the way, these rolls look so good I could lick my monitor. LOL I’ve never seen rolls cut before but I like that idea for keeping them light and fluffy. I’m pinning so I can try these! Thanks for the awesome recipe. I recently heard that smoke detectors/alarms need to be changed every five years otherwise they will begin to beep. I’ve never had this happen but maybe it’s something fairly new, or newer than my 12 year old alarms. By the way these rolls look incredible. I’ve never heard of cutting rolls but they appear to be much lighter than shaped rolls. Thanks for such a wonderful recipe. I’m pinning this so I can make for Easter. 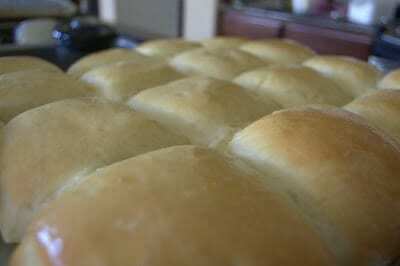 These rolls & of course the butter are my daughters Fav! Sadly we moved & note we live 6 he’s from the closest Texas Roadhouse, which means maybe oncea year on her birthday may go. She is going to be so excited when I make these for her this weekend =). Ah, Lady O, to be a fly on the wall when she finds out you’re making them! Please let me know if she enjoyed them as much as the real ones! And thank you SO much for the love!! 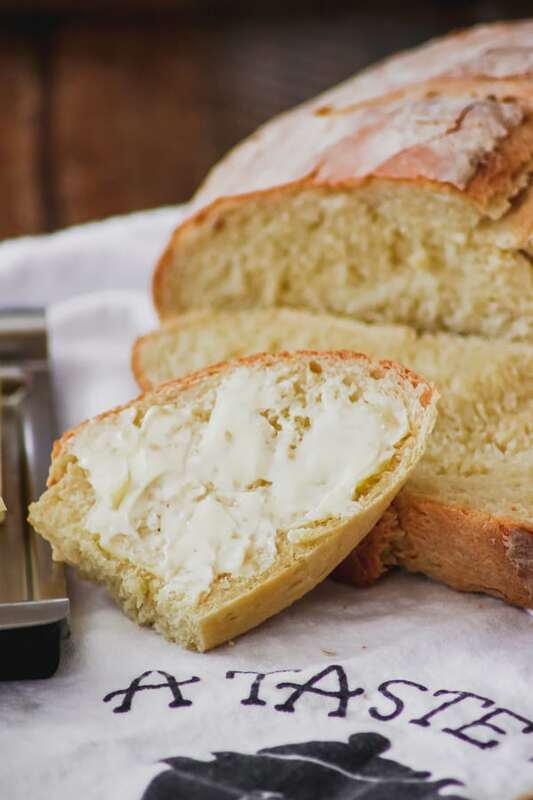 I used to live in New Jersey and would always bake breads and rolls, but i recently relocated to Arizona and I have the worse trouble getting my bread to rise, i dont know what it is out here… any tips? I place my doughs in the oven and I’ll warm it up to 175 degrees F. then turn it off a few minutes before I’m ready to place it in. I’ve had good luck doing it this way. If I just leave it in a “warm space” like on a countertop or in the laundry room, it’s never risen as well as in the oven. And grandma used to do it that way, so I figured she must have know what she was doing. Just wanted to let you know as an ex baker for trh the hc butter is literally just regular REAL salted butter that has been whipped with only honey and cinnamon. NO confection sugar needed! I dont know the ratio for a small batch as we have to make large batches to last a couple days but I hope this helps!! I like how they are all joined together and you can pull them apart like the breads you buy in supermarkets. So professional 🙂 I love these. They are in the second proof stage right this minute…I can’t WAIT! Mark and Ann, YAY!!! I’m SO excited to hear what you think of them!! Thanks for letting me know you were making them!! Oh I am so gonna make these! I honestly don’t know if you can make them in a bread maker. Since I made them by hand, I’d definitely recommend doing them that way. You could try doing a Google search of these rolls in a breadmaker. If you make them that way, please let me know how they turned out! These are the best rolls I have ever made! Easy directions and they turned out perfectly! Okay…I made them again using my bread machine…I did the first step and once it was mixed I unplugged it and let it do it’s bubbling thing. Yay! Let me know the final outcome! Sounds like it might work!! Any advise on making these a few days ahead of time? I’m going to make these for Thanksgiving and want to make them on Tuesday, and actually bake them on Thursday. Help please! Down at the bottom of the post is where it talks about making the rolls ahead, and then baking them the day of. Can i use canned (evaporated) milk, or do i need to use regular milk? I have tons of extra canned milk and I’m always looking for recipes to utilize it. Thanks! Making these today for a pre-Thanksgiving dinner! I hope this helps. I used regular milk, so don’t know what the results would be, but it sounds like it will work. Good luck with it and let me know the results! Oh my stars I can’t wait to see how they turn out!! I love TRH, really hope they taste close to the real deal! Ill post once I try them! I did try another copy cat recipe and it was not at all like them!! Your a goddess! Am I suppose to spray the towel down bc it stuck to the dough…. These turned out delicious! My guests went back for seconds and thirds! I made the better with 1/2 cup butter and 1/3 cup honey and cinnamon to taste, no sugar. It tasted more like honey than Texas Roadhouse’s and the buns were not quite as airy but definitely delicious! Next time, I would only use 1/4 cup of honey instead of 1/3. Thanks for the great recipe! How about having all the smoke alarms go off , tied together, about 3am and you feel like you are dying from the flu? Hubby slept thru the whole thing. I got out ladder and disconnected all and then they finally quit. I have never made homemade rolls before. Do I need a dough mixer? Can these truly be made by hand? I only have a hand held mixer. I made them by hand and they turned out great! Didn’t even use my hand mixer; just mixed up with a spoon and used my hands to knead. Can you just mix these by hand or do you need a dough hook? Maybe with a handheld mixer? What a fabulous recipe! I have made these twice now and they taste exactly like Texas Roadhouses’ rolls (although my hubby says mine taste better than theirs!) The cinnamon honey butter just takes them over the top scrumptious. I follow the recipe exactly except use a plain old hand mixer in place of a dough hook and typically halve the recipe as it makes a lot. I hope it is OK that I share this blog post on my cookbook blog. Thanks for sharing! These are just like the real thing. I’ve made them twice and thought I had beginners luck when they turned out perfectly the first time. They turned out just as nice the second time. They freeze well if you have extras. The cinnamon honey butter’s a must, but my daughter says they’re great buns for ham sandwiches too. Thanks for this Recipe!! I made it before and I am makin’ it again!!! Supercalifragilisticexpialidocious, another word that ends in ous and describes these perfectly. I made these this evening using a little different recipe. Mainly because I wanted to use my bread machine and it will not hold 8 cups of flour. The recipe I used was very similar only less sugar. They were not as sweet as the ones I ate at TRH. So next time I am going to increase the sugar. Here is the recipe I used in my machine. I added the ingredients in the order of the recipe. They were very good and the cinn honey butter makes them even better! I can’t wait to make these for Easter! Something’s not adding up with this recipe. You say to add about 2.5 cups of flour in the beginning, but you use a total of 7.5 cups. Where are the other 5 cups of flour in the recipe? I just got done beating it the first time and I’m like “so now what do I do with the rest of this flour?? Yes, you use the 2 1\2 cups flour in the beginning and then after adding the milk, eggs and melted butter you add enough flour to make a soft dough. I didn’t specify an exact amount because it my vary with with each person making them. You definitely shouldn’t have 5 cups of flour left over. I was confused at first about the 7 .5 cups of flour until I saw this comment. You only mentioned 2.5 cups at first but did not specify using the rest of the flour in your recipe. My daughter is not a foodie. She eats in order to survive 😉 Well, this little unenthousiastic eater was completely in love with these bread rolls. She said it was the best thing she ever eat. They stayed moist, ever the day after. Thanks for this great recipe! I just ate 5 of these in one sitting. :-)) i only did half of the recipe still came out plenty. Just a couple of things i did different: i did everything with a spoon and then by hand.even the butter i mixed with a wooden spoon. I didnt use the sugar , only honey and that was sweet enough 1/2 cup butter, 1/4 cup honey, almost a full tsp of cinnamon.also before i put them in the oven i brushed a mixture of egg yolk and milk over them and then when i took them out of the oven i brushed them with melted butter.this is what i would change next time: i wont let them sit for too long before baking ( i actually had to go get more butter and they sat there cut and ready to be baked for an hour) and i will cut them in smaller sizes from the beginning. I didnt have a dough cutter and i used a knife. Kinda messy. Anyway, thanks a million for the recipe. They came out great and i will be making them again soon. Sounds marvelous, but……19? Not 18 or 20? Yes, that’s picky but I’ve got it stuck in my mind so I HAVE to ask…..lol! I so get it about the smoke alarms….gaaaccckkkk! Made these and they were soooo good! Thanks for sharing the recipe. Awesome, Kathy! Thanks so very much for sharing that. I’m so glad you enjoyed them! Smoke alarm comment…….Our home was built in 2001. The fire dept (no, we’ve never had a fire) said if the detectors are hard wired in to the home then ALL the batteries need to be changed at the same time, not just the one that obnoxiously chirps! And yes, it happens at 3 am! Ah, that’s great to know, Peggy, thank you so much for informing me. I wonder how many other people don’t realize that needs to be done. Hi…I made these today and they turned out yummy. One question that I have is that after butter them once out of the oven they deflated some. Any ideals way. I was wondering if I should have let them cooled some before that. they do tend to deflate a tad after coming out of the oven, but it won’t affect the taste. If you want to wait a few minutes for them to cool before brushing them with butter next time that would be fine. That may help a little, too. I have tried making these twice now and both times they came out horribly. I am following the recipe exactly as written, so I don’t know what I’m doing wrong. Very disappointed. I’m SO sorry this happened twice to you, Jennifer. There could be various reasons – that the yeast had expired, the dough had over risen. 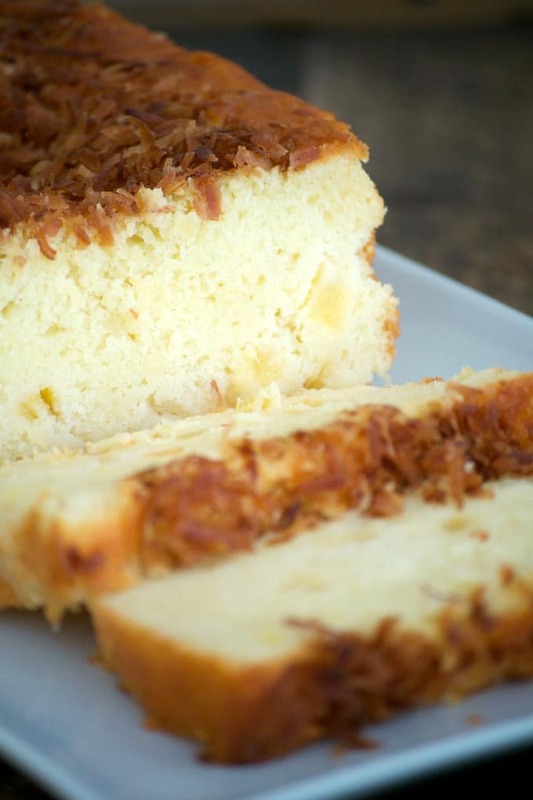 Here’s an article from King Arthur Flour that might help. They also have a hotline for people to call and ask baking questions. I have a question about your recipe for the Texas Roadhouse Rolls. Could I put these on a baking sheet and then let them sit in the fridge overnight before baking them? I planned on making them for thanksgiving but I don’t want to be rushed and have to do it the day of. So, that’s why I was wondering If it would hurt to make them the day before, stick them in the fridge, and cook them the next day… So they would be nice and fresh!! I wouldn’t suggest refrigerating the dough to bake them tomorrow. I experimented with it last year as quite a few people were wondering and I DID NOT like the way they tasted at all. They were too dense and not light and fluffy as they should be. Believe me, I was extremely bummed that they didn’t turn out because it would save a lot of time and be very convenient. The rolls are light and fluffy as advertised. Absolutely delicious. I like baking bread and trying out new methods. Thank you for this delicious recipe. I plan on making these again in the future. Thanks so much, Avital! I’m so glad you enjoyed them! They are certainly a favorite here! I made these rolls for Thanksgiving and, while they were good, they were too dense and not as airy as I would want a dinner roll, like the Texas Roadhouse rolls. Any suggestions??? I have not made them in a bread maker, so I can’t tell you how they would turn out, but this person did and here’s the link to her blog. Hi! These look absolutely delicious!!! i cant wait to try them, my only problem is i dont have one of those fancy mixers. Is there an alternative way to mix the dough? Here is a link from King Arthur Flour that will probably be very helpful. Good luck! HELP!!! I really wanted these to turn out We love these rolls. However mine were bland and Huge. Where did I go wrong? Please help me perfect these. Not only are these rolls complimentary at Texas Roadhouse, but UNLIMITED!!! So good! I agree, Kristin! I can never get enough of them! I’m making these today for Thanksgiving. My hubby LOVES LOVES LOVES these and I’m hoping to surprise him. I know rgar when you are at the restaurant they are super fresh and sitting under the warming lights. Should I wait and make these so that they are ready right at meal time? I have so many other things to jungle I’d like to Just stat making them now , but then theyed just be sitting for 2-3 hours …. Such first world problems …I know but I was wondering if they would still have that same restaurant taste if i make them miw …thank you for your ridiculously thorough blog with such specific picture, instructions and details!! This is the second time I’m making this recipe and I never “comment” on blogs…ever, BUT this is such an incredibly well written, well photographed and detailed recipe that you clearly took a lot of time to put together that I felt compelled to write. Thank you SO much and this is such a wonderful “copy cat” and my family truly LOVES them. In fact, I double the recipe and the kids like to use the rolls with deli meats the next day!! Thank you for putting this together so thoughtfully!! I’m so glad you love the rolls. They’re a favorite around our house as well. I hope you continue to enjoy them and I wish you a very happy New Year! Nice recipe in vietnam and this place is also best for spent time thanks for the blog. May l know the measuremenr for 1 cup is equivalent to how many gram?